March 8 is International Women’s Day, a day marked by rallies and celebrations around the globe. The University’s Commission on Women and Gender Equity in Academia will host a panel discussion with local activists promoting gender equity. Marty Guenther has been there since the beginning, watching the Department of Computer Science grow and spearheading programs that support women students and connect all students to the increasingly global tech community. Cardiologists have published a comprehensive manual for physicians to improve the diagnosis and treatment of women with heart disease, because they need different care than men. The conference will serve as a discussion forum for topics like re-entry, funding challenges, and the justice system. 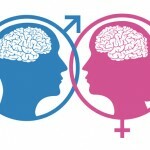 A new study shows that it’s time for the Mars/Venus theories about the sexes to come back to Earth – no matter how strange and inscrutable your partner may seem, gender is probably only a small part of the problem.